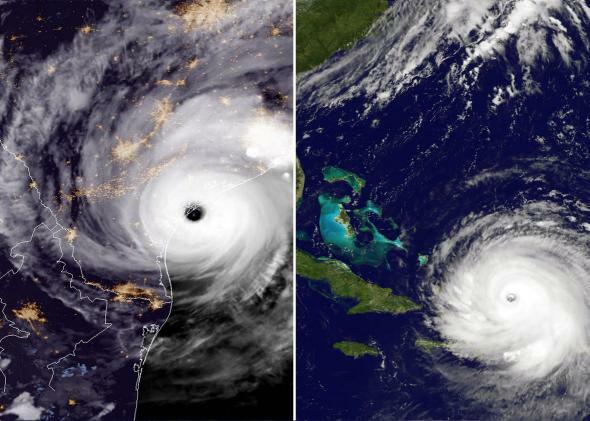 Make no mistake about it: Hurricane Irma was quite deliberately geoengineered as a highly destructive and deadly superstorm…just as Hurricane Harvey was. The NWO globalist cabal has ordered the geoengineers to fabricate this frankenstorm as a direct threat to President Donald J. Trump and his administration. Even if Palm Beach does not take a direct hit from IRMA, Trump has been sufficiently threatened and warned by the shadow government. His vacation home — Le Chateau des Palmiers — on the island of St. Martin now sits in the middle of a full-blown disaster area. KEY POINT: It’s no meteorological accident that both Texas and Florida are getting assaulted by geoengineered weather warfare. Both states are as red as a rooster’s comb and served as major staging areas for the Trump movement during the 2016 campaign season. The patriot movement is also getting clobbered by the record fires in Montana, Idaho and Washington. Even the Hollywood elites are acting as proxies for the globalists by blaming Trump for both superstorms and the fires because of his climate change positions. TPTB ultimately hope to sway the nationalists, who are domiciled in every state, against Trump’s plan to MAGA . As always, there are several purposes for a manufactured mega-hurricane, each of which serves to significantly advance the stymied New World Order agenda. Because Trump has decisively taken his wrecking ball to the covert scheme to impose a One World Government upon We the People. He has done this by pulling the U.S. out of the TTIP (Transatlantic Trade and Investment Partnership), renegotiating NAFTA, and shutting down illegal immigration, among several other weighty initiatives. However, Trump’s biggest reversal for the NWO cabal — BY FAR — was withdrawing the United States from the Paris Climate Accord. This single executive action by the POTUS has thwarted the NWO agenda more than any other patriotic move he has made to date. The profound repercussions and far-reaching ramifications of Trump’s withdrawal from the Paris Agreement are causing TPTB ‘major headaches’ for the power elite and will not be tolerated. For that fraudulent agreement was the centerpiece of an evolving global totalitarian government which is somewhat modeled after the tyrannical European Union superstate. The critical point here is that the globalists are now doing whatever they can to lend support to their false CO2-driven climate change narrative. They are so desperate to foist their extremely expensive, labor-intensive climate change hoax upon the world community of nations that they will resort to destroying whole cities. Their sacred cow of Global Climate Change (a geoengineered phenomenon) will not be sacrificed under any circumstances, if they can help it. As the preceding link reveals, the cabal is determined to convince the people of the world that their specious CO2 version of climate change is real, even though it’s utterly incorrect. The same weather controllers have regularly used the mainstream media (MSM) to promote the Global Climate Change (GCC) scam via so much fake news and incessant disinformation. Ever since HARVEY battered Corpus Christi and swamped Houston, there has been a steady drumbeat from the MSM about climate change being the underlying cause of the ensuing 1000 year flood in East Texas. Now that IRMA has terrorized the north Caribbean Islands before slamming into South Florida, the same MSM organs of propaganda have taken every opportunity to criticize Trump for his climate stance. The coordinated chorus of criticism is getting louder and more shrill by the day as if they are acting on cue. That’s because they are. Both frankenstorms were clearly manipulated from the start to produce maximum effect so the GCC industry could aggressively push their fictitious CO2-driven climate change contrivance. There is much more to this GCC ruse than meets the eye. In fact, this multi-decade conspiracy requires some penetrating analysis to properly unpack the various layers of deceit and deception, duplicity and disinformation. In order to understand just how pivotal the GCC scheme is toward the establishment of their One World Government, the article below ought to be carefully read. The creation of these two frankenstorms is obviously no freak of Mother Nature. 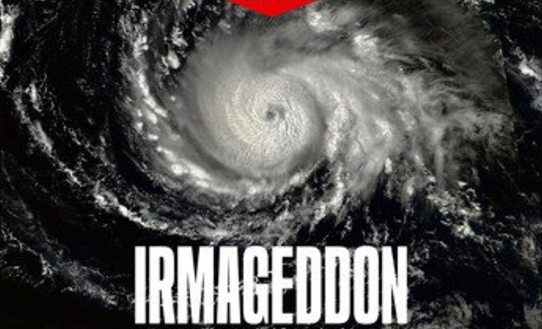 The fastidious development of IRMA over the past several days has all the telltale signatures of geoengineering as well as subtle signs of weather manipulation. What the geoengineers hope to accomplish with HARVEY and IRMA is a one-two knockout punch. They don’t care if they have to destroy a few major cities in the process of implementing their nefarious NWO agenda. The globalists are on an exceedingly tight schedule which must be adhered to if they are to be successful in the formation of their UN-sponsored communist One World Government. That this widespread devastation by way of weather warfare is taking place in 2017, on the 100th anniversary of the Bolshevik Revolution of 1917, is no quirk of fate. The cabal plans to generate so much chaos and confusion via weather invasions that their violent leftwing terrorist groups (e.g. AntiFa, Black Lives Matter, etc.) can wreak havoc in the urban areas. This salient tactic much be apprehended quickly, as it is an essential prong of the Soros-sponsored Purple Revolution. Will there be a third and fourth superstorm? Yes, chances are very high that TPTB will not stop with their naked weather warfare until President Trump has openly submitted to their will. The cabal will no longer tolerate the POTUS so blatantly disrupting their agenda. Trump has already taken his wrecking ball to their major MSM news outlets, and it’s unlikely they will permit him to “sink the GCC Titanic”. In view of this very tense state of affairs, the entire planetary civilization is witnessing an epic battle between Team Trump and Deep State. Such a cataclysmic war has never been fought before out in the open. Truly, this is the final battle between the forces of light and the forces of darkness. Because the ultimate control of Planet Earth is at stake for both sides of this conflict, there will likely be a fifth, sixth and seventh superstorm as well, unless…. It is for these and other reasons that many platforms in our worldwide news network and advocacy group alliance have called for extraordinary measures to be taken to shut down the geoengineering programs post-haste. As long as the geoengineers are chemtrailing the skies and transmitting HAARP frequencies via advanced satellite-based technologies, the whole world remains quite vulnerable to these weather wars. The same perps are now using the pervasive NEXRAD transmitters together with the power plant grid to generate even bigger storms. Only when the true depth and breadth of this devolving predicament is comprehended will the American people seek the necessary solutions in another realm. Because the fate of humanity now hangs in the balance, as does the continuity of the biosphere, the time to act is now. To allow the wanton destruction of the global environment to go on is completely unacceptable. Hence, the following initiative is made available to every human being. The intentional timing of IRMA to hit on 9/11/17 also triggers all types of PTSD symptoms both individually and collectively. More significantly, IRMA has diverted the attention from 9/11 truth movement initiatives which were set to expose much more of the government conspiracy on this Monday’s 9/11 anniversary. SOTN has posted another important exposé on the systematic geoengineering of weather warfare. The following groundbreaking article reveals the secret connections that are rarely ever posted on the Internet, even by the Alt Media.